Store in refrigeration below 5C Here are our recommended reheating instructions for a Family Pie - If you pop your Family Sized Savoury in a traditional fan forced oven on at 150 degrees for 25 minutes then that should warm your savoury up nicely, ready for dinner! However, please note – every oven is different, so use this as a guide only. 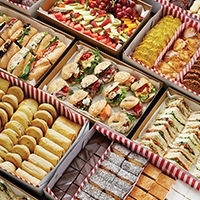 Of course we recommend you check your oven at regular intervals. Quiche became popular in England sometime after WWII, and in the USA during the 1950s. 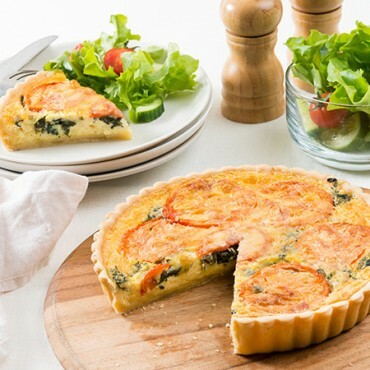 Today, there are many varieties of quiche. 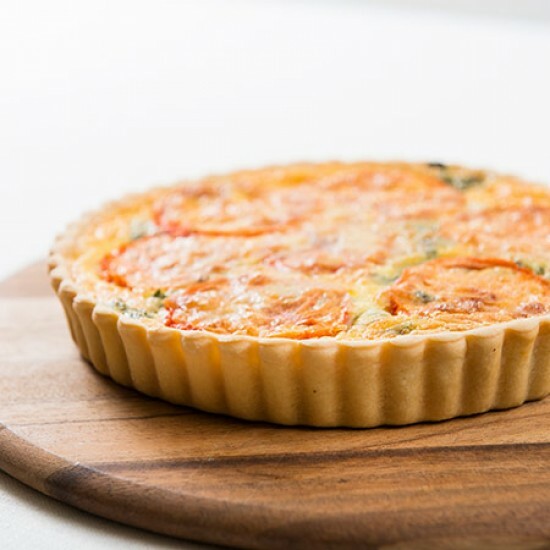 Our Tomato & Spinach Quiche is an open pie with a filling comprising an egg and cream custard with spinach, tomato and cheese.